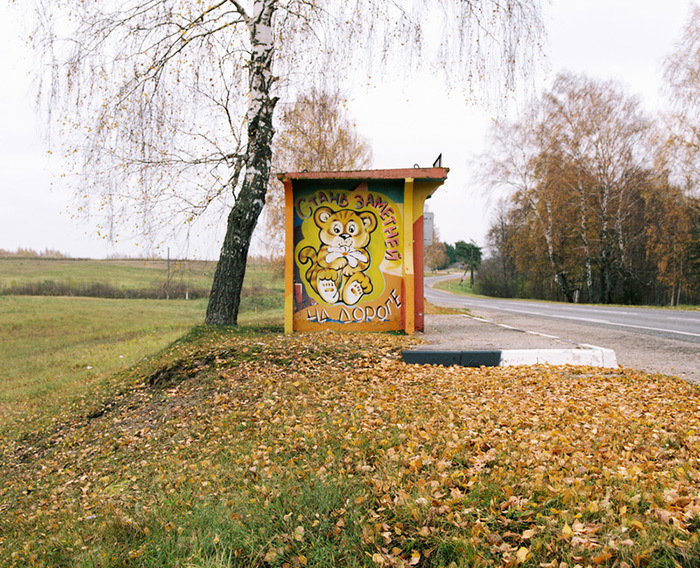 Previously, I posted about the whimsical bus stops in the former Soviet Union captured by photographer Christopher Herwig. 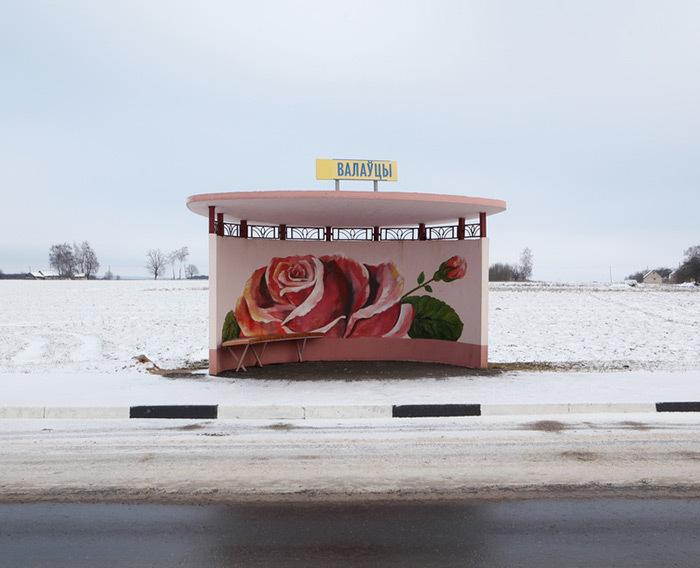 This series of photos by Belarus-based photographer Alexandra Soldatova focuses on the same subject but the difference is, the bus stops look more or less the same distinguished only by the painting covering the walls. 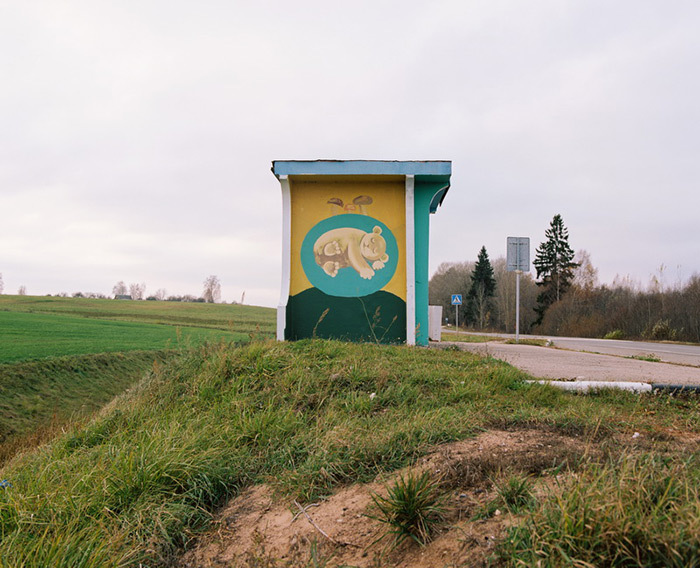 The artworks are more restrained whereas in Herwig's photos, the artists were free to express their creativity seemingly without limits. 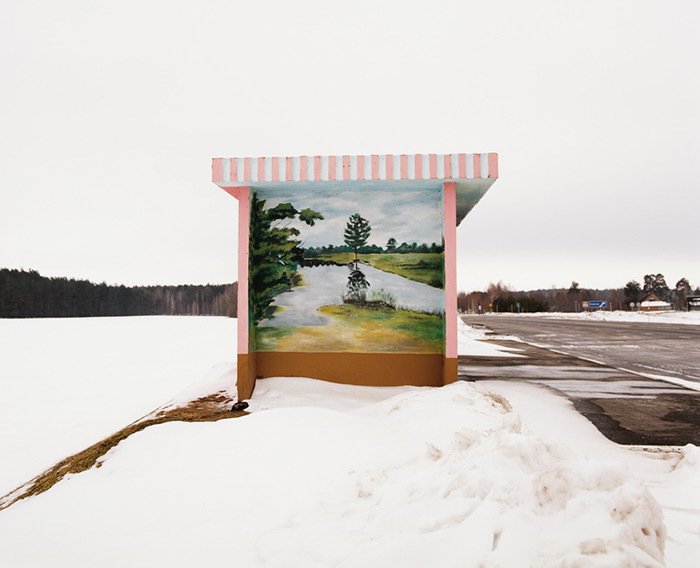 Soldatova explains that in her country, people admire things that are clean and beautiful and that the only reason they're painted with floral themes, landscapes, cuddly animals, etc. 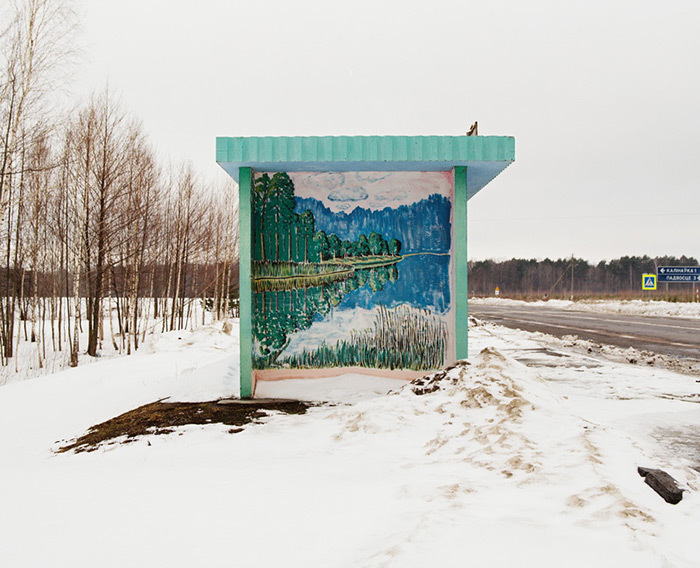 is so the bus stops don't look like a blight in the landscape. 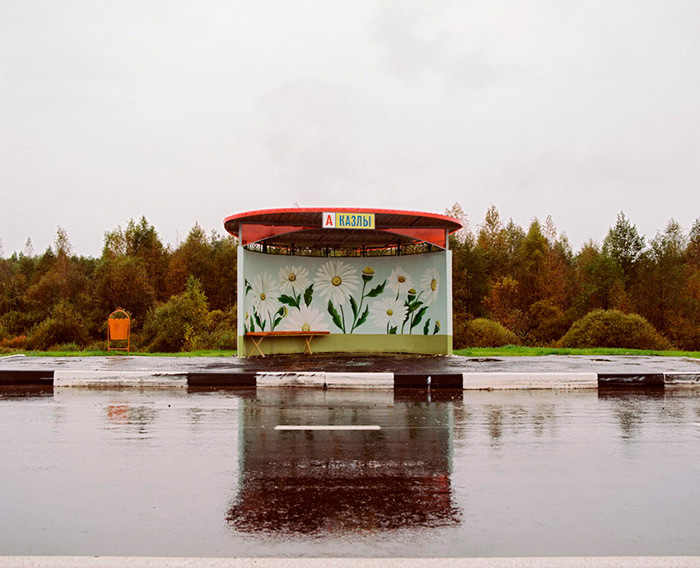 In Belarus, my home country, people love when everything looks neat, clean and beautiful. I decided to search for origins of this fact. 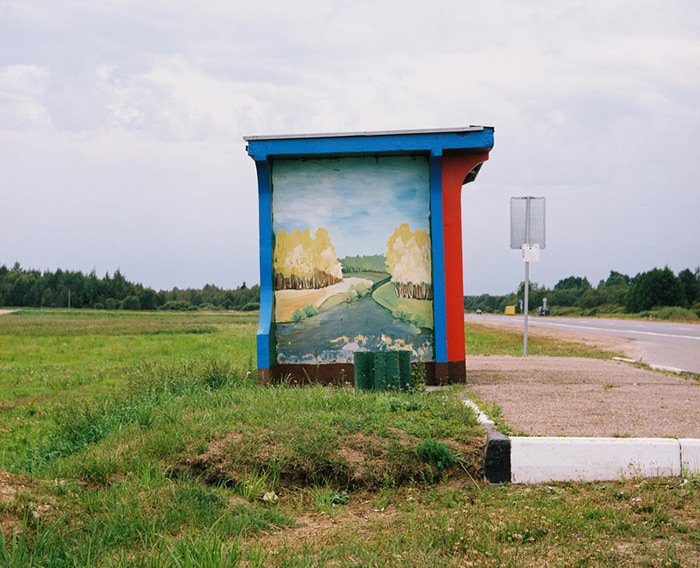 So I researched the environment where people normally live and I was looking for rather outstanding and at the same time very common things which could influence the esthetic feeling of a person. 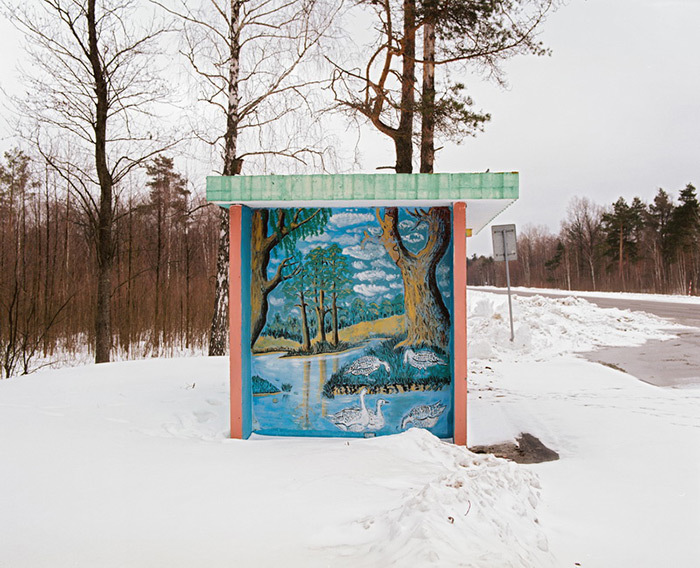 This project is about decorating reality. 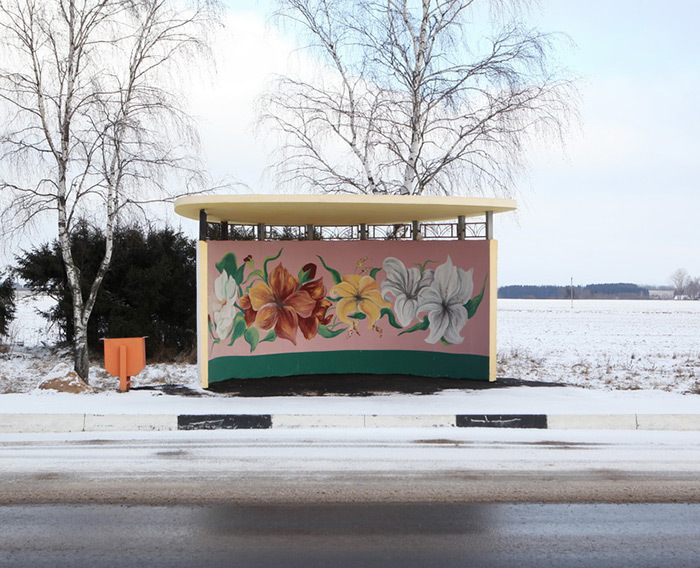 All these paintings on the bus stops are made through local authorities by unknown “artists” with the only purpose to beautify empty landscape. 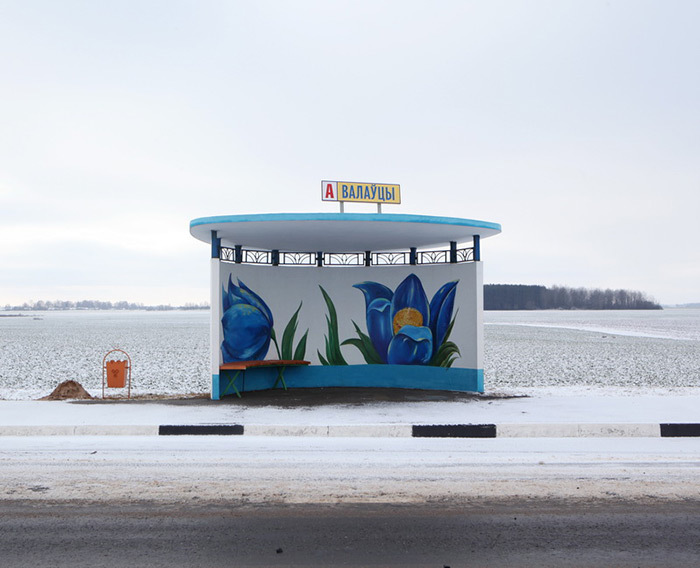 Painted bus stops in Belarus.